I just organized my second closet. Yes, my workout clothes have their own closet. It's a problem. 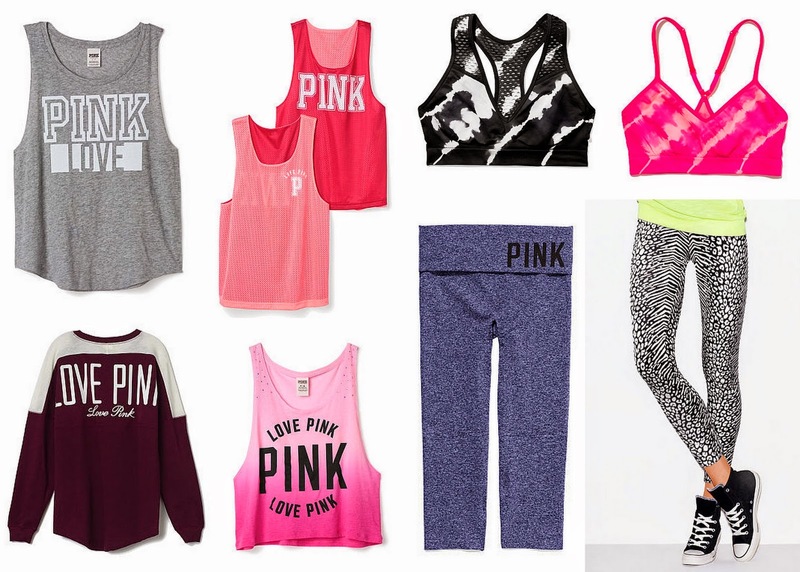 Just to add to the clutter of sports bras and leggings, I thought I would come up with a wish list for new apparel from Victoria's Secret Pink. You know I love their stuff.